← Mama Cat Adopts Group of Baby Chicks … But it Gets Even Better! One of the players then approached the dog, and scooped him up in his arms. At that point, the crowd attending the game was going wild, cheering on the dog and the player. 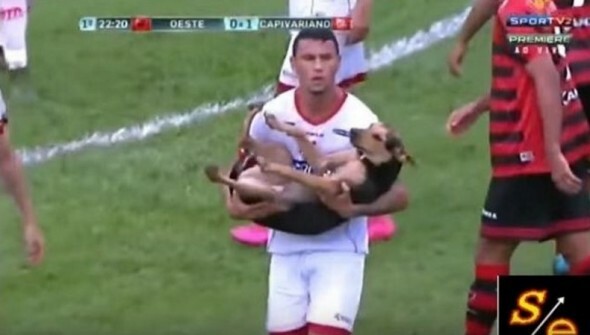 The dogwas then taken to the sidelines, and the game was resumed. However, befor the game was back on, the announcer came out with a very important statement, and one that we happen to agree with very much.